Charles H. North entered the employ of Cleveland Telephone Co. as a lineman in 1881. With a co-worker he set up a repair shop in the corner of the main switchboard room, where in the evenings and on Sundays they repaired magneto telephones. In 1887 both men resigned from the telephone company to devote full - time to their shop. His partner retired in 1889 and later North was joined by George C. Steele, former manager of Painesville (Ohio) Telephone Co. They incorporated North Electric Co. in 1899. The company developed and manufactured many improvements over the early designs of telephone instruments and equipment under North’s inventive direction. In 1902 with Ernest Faller, he developed a semi-automatic exchange; in 1904 he developed this equipment for fully automatic operation and applied for a patent. 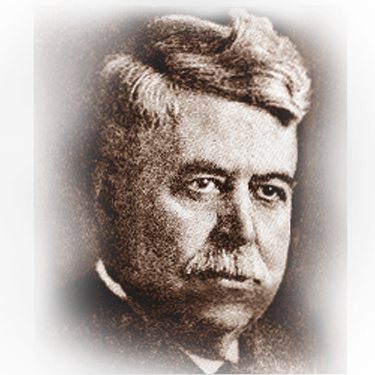 In 1907 North purchased National Engineering Co. of Baltimore because they held many patents and patent applications, in the name of Edward E. Clement, which applied to semi-automatic and automatic switching involving relays exclusively. North Electric then completed a semi-automatic system, the Automanual. The first exchange was established in 1908 at Ashtabula Harbor, Ohio. Operated as a satellite out of Ashtabula, it is thought to be the first remote controlled telephone exchange. In 1917, North was rechartered under Ohio law as the North Electric Manufacturing Company and F.R. McBerty (elected to the Hall of Fame in 1965) joined the firm. North served as president until 1921, thereafter as a director until retirement. He died in 1926.